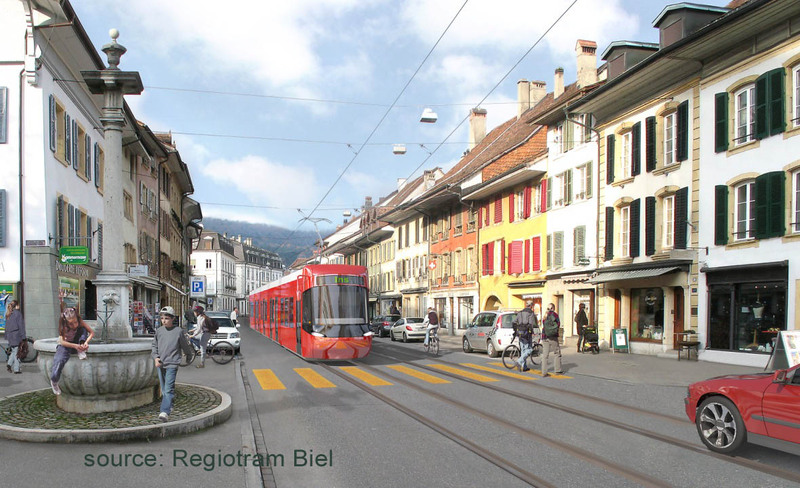 Last year, this website reported on plans to return trams to Biel. The project now has its own website: www.regiotram.ch. 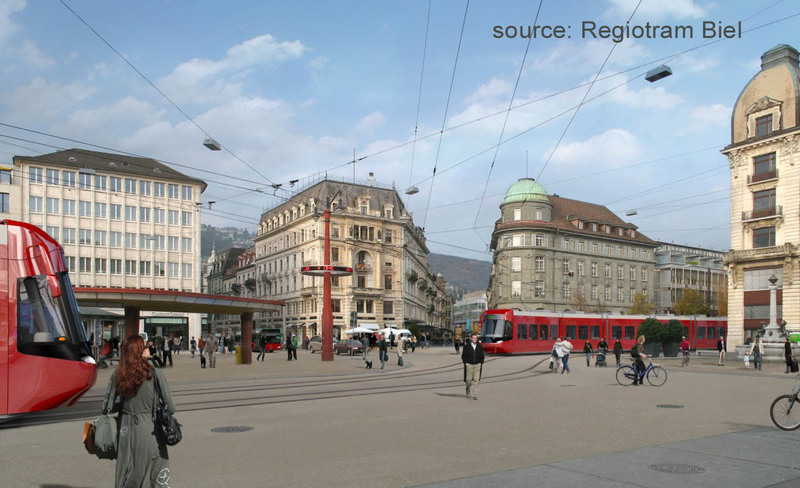 It is interesting to observe that the trams used on the artist's impressions are Zürich Cobras, looking very smart indeed in their ultra-glossy dark red livery, no doubt inspired by Bern. Of course it is highly unlikely for a number of reasons that Cobras will ever really run in Biel. However, the artist's choice does underline that this is still considered a modern type despite going back more than 10 years.